Jimmy Floyd Hasselbaink says the small group of Cobblers fans who booed his team off after Saturday’s goalless draw with Oxford United should ‘get the perspective right’ and not forget ‘who we are’ as Town’s poor home form continued. This is not the first time that Hasselbaink has clashed with his own supporters having also criticised their decision to boo following November’s 0-0 draw against Bury at Sixfields when he again expressed his bemusement to a mixed full-time reception. The circumstances on Saturday were similar in that the Cobblers went into their clash against Oxford desperate to bounce back from a couple of below-par showings, most notably at home, however despite an improved performance, the game ended in stalemate. 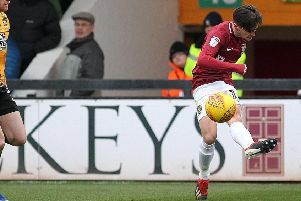 The first-half in particular was a marked upgrade on the past two games at Sixfields, both of which ended in defeat against Rochdale and Gillingham, as Town created and missed a number of early chances. 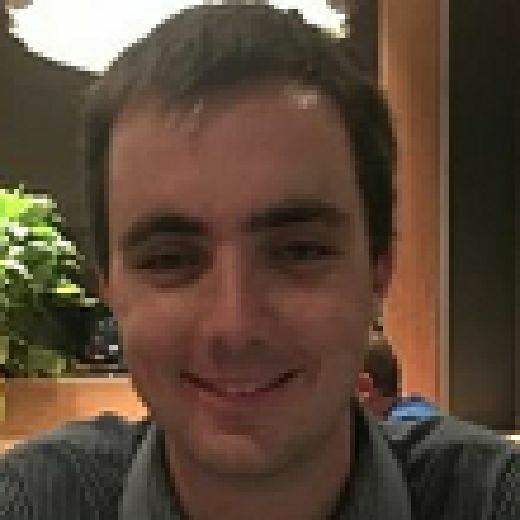 However, their ineptitude in front of goal kept the game scoreless at half-time and Northampton then reverted to type in the second-half when Oxford seized the upper-hand and squandered a glaring late chance of their own to pinch all three points, Wes Thomas heading wide from six yards, as the game ended goalless. At full-time, Hasselbaink turned around and clapped home fans in the West Stand, an act which some felt was sarcastic but he denied that was the case afterwards when giving a lengthy answer in an attempt to explain why he felt the booing was unnecessary. “I was a little bit annoyed with the boos at the end and I just wanted their support,” he said. “The players deserved a clap and the supporters also deserved a clap for coming and supporting the team. “The team did really well, it was just unfortunate because we should have scored but that is football. “Sometimes you have a little bit of luck but we didn’t on Saturday. We tried, we got chances, we got in and the energy was high. “If we’re talking about the Gillingham or Rochdale game, then I’ll shut up because those two games were totally different. In the first-half against Gillingham, it was poor and I expected the boos and you didn’t hear me complaining. We are desperate – desperate – to get our home form back to where it should be but let’s also not forget who we are and where we are coming from. There’s a lot of building to be done to be able to dominate game for 90 minutes. “We are desperate – desperate – to get our home form back to where it should be but let’s also not forget who we are and where we are coming from. There’s a lot of building to be done to be able to dominate game for 90 minutes. “It’s not that easy. With all due respect, we are Northampton Town and this is our second season in League One so come on guys, let’s get the perspective right. “It’s very important that we stay in the league but we are building and we are trying to build something nice here and something good that we can be proud of. While the boos at full-time were quickly drowned out by applause, the same could not be said for the more discernible mumbles of displeasure that came on 72 minutes when Gboly Ariyibi, Town’s most likely source of a goal for long periods of Saturday’s game, was withdrawn in place of Hildeberto Pereira. After the match, however, Haselbaink explained his reasoning behind the decision, saying: “I didn’t want to take Gboly off but he’s come here and he hadn’t played for about a month and he’s not really trained that much. “Last week he played at Scunthorpe and he did well but I had to take him off in the last 10 minutes and this week I did that as well. “If you saw, just before I took him off, he was stretching his hamstrings and he was getting fatigued and I can’t afford to lose another player, especially him. “So, as a manager, you have to make a decision. We brought Hildeberto off the bench and he did very well too. If John-Joe (O’Toole) had slipped him in, we’d have had a two-on-one in their box. On his other substitution, when he brought on defender Shay Facey for midfielder Sam Hoskins, Hasselbaink added: “It wasn’t that I wanted to bring on a defender, I wanted to change the shape. He can play on the right side and he brings pace. “Oxford changed and went with two strong, quick players up front so I thought I’d shut that off and put three defenders there so we had more of a overhand in midfield.